Homoeopathic case of respiratory issues from the clinic. We are investing in Audio and video equipment to facilitate a high quality online teaching environment. For the last two months, I have written outlines for podcasts to explain the rationale behind the instructions contained within the Organon, and how best to carry out then in practice. We intend to have a comprehensive collection of files available in due course that will benefit practitioners who wish to practice according to the way of Hahnemann. We will cover aphorisms in-depth as well as explaining the 8 or 9 protocols involved in finding a similimum that comply with Hahnemanns instructions. These videos/podcasts will be invaluable to newly graduated students from colleges, and for working practitioners who wish to work more closely with Hahnemannian principles in their clinics. We will include case examples and examine each step in choosing symptoms and why, along with the rationale for case management and development towards health. Dates still open for IHM personal training course with Gary Weaver. August we can have any selection of 4 days. Let us know what days suit you and we will check our calendar. Spanish and English Speakers. Appointments in person and also by telephone and SKYPE. El I.H.M. ha establecido una consulta medica en Sevilla.Cada uno de los médicos que trabajan en ella han sido formados en el método Hanemaniano homeopático y en el uso del Repertorio de Boenninghausen para el análisis de los casos clínicos. The I.H.M. 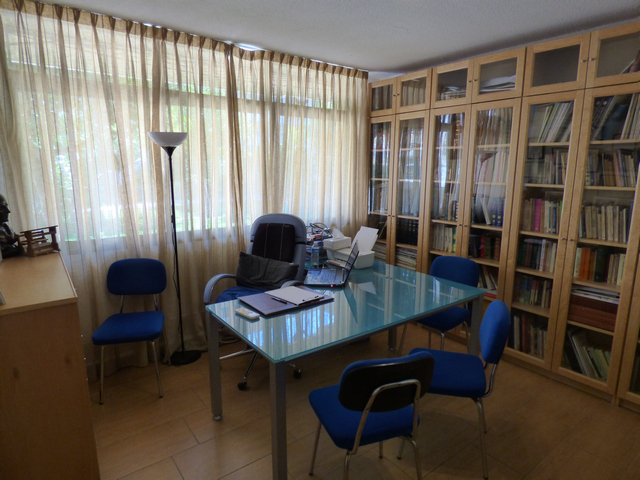 Has established a consulting clinic in Sevilla. Each of the attending physicians is trained in the Hahnemannian method of Homoeopathy and uses the Boenninghausen Repertory for analysis. Currently, Gary Weaver is resident in Seville for the case taking along with Antonio Gil Ortega and Manuel Gutiérrez Ontiveros. Igualmente ofrecemos formación clínica para terapeutas que quieran resolver sus casos difíciles, veríamos el paciente en la consulta con la presencia de su terapeuta y le demostraríamos la metodología Hanemaniana en la toma del caso y su posterior análisis. We also offer clinical training for practitioners for their own difficult cases. We will see the patient in the clinic with the practitioner present and demonstrate the Hahnemannian methodology in the casetaking and afterwards in the analysis. Nuestra consulta se encuentra en la Barriada los Príncipes Parcela 7 Bloque 8 Sevilla. Por favor llamen por teléfono 606 207 345 a Manuel Gutierrez para concertar cita. The most common reason a prescription fails. After studying the writings of Hahnemann for over 30 years, I am more than convinced that he was very clear as to the procedure for taking a case, and what symptoms are required to be used for prescribing symptoms. It is no coincidence that practitioners who attend the IHM course, and are shown from the Organon and Chronic Diseases the instructions, and are presented with MANY case examples and discussions regarding each case, manage to go back to their homes and revisit difficult cases and have success. Not because the IHM have a modern conception and methodology but simply because we work in the Hahnemannian manner. The IHM decided many years ago to bypass all the practitioners of the era who offered explanations as to what Hahnemann was saying, and just take Hahnemanns own writings as good enough. By doing this, or members and students and practitioners have avoided the most common mistake made. Nowhere does Hahnemann state that one symptom has priority or seniority over another. In aph 6, he instructs to take ONLY symptoms that have changed since or just prior to the disease/infection, of the body and the mind. Here there is NO differentiation of mental or physical changes in terms of rank. In aph 153, he states: In this search for a homoeopathic specific remedy, that is to say, in this comparison of the collective symptoms of the natural disease with the list of symptoms of known medicines, in order to find among these an artificial morbific agent corresponding by similarity to the disease to be cured, the more striking, singular, uncommon and peculiar (characteristic) signs and symptoms of the case of disease are chiefly and most solely to be kept in view; for it is more particularly these that very similar ones in the list of symptoms of the selected medicine must correspond to, in order to constitute it the most suitable for effecting the cure. The more general and undefined symptoms: loss of appetite, headache, debility, restless sleep, discomfort, and so forth, demand but little attention when of that vague and indefinite character, if they cannot be more accurately described, as symptoms of such a general nature are observed in almost every disease and from almost every drug. Again NO differentiation between mental and physical symptoms. If we be logical about this, Hahnemann is stressing to find altered expressions of disease in the now sick person, WHEREVER they are and WHATEVER they are. In aph 133 he states: On experiencing any particular sensation from the medicine, it is useful, indeed necessary, in order to determine the exact character of the symptom, to assume various positions while it lasts, and to observe whether, by moving the part affected, by walking in the room or the open air, by standing, sitting or lying the symptom is increased, diminished or removed, and whether it returns on again assuming the position in which it was first observed, – whether it is altered by eating or drinking, or by any other condition, or by speaking, coughing, sneezing or any other action of the body, and at the same time to note at what time of the day or night it usually occurs in the most marked manner, whereby what is peculiar to and characteristic of each symptom will become apparent. This applies to ANY symptom mental or physical. Logic also dictates that if a sick person does not have an altered mental change… WE CANNOT USE IT! We do not use personality in our prescription ever, UNLESS ALTERED. Many practitioners during the time of Kent and since have been taught that the mental disposition is the key to solving each case. They Quote aph 211 to support this postulation. This holds good to such an extent, that the state of the disposition of the patient often chiefly determines the selection of the homoeopathic remedy, as being a decidedly characteristic symptom which can least of all remain concealed from the accurately observing physician. However: a read of the aphorism in conjunction with the topic under discussion from 210 to 230, will show that 211 is the cornerstone of dealing with one sided mental diseases only! If a practitioner spend his or her time searching for mental or emotional states for the patient, they will miss out on the correct prescribing symptoms. That is why we defer to original writings only and leave out interpretations so as to not make a mistake. Case analysis using Boenninghausens Therapeutic Pocket Book. It is true that the TPB only contains 125 remedies for evaluation. However, in practice, it is also true that most practitioners do not know the value or scope of most remedial actions. It is amazing to find out the curative power of remedies that we have a pre- conceived opinion of as to its field of action, and see it restore sickness to health outside of our comfort zone. Let me give an example of a recent case with few symptoms. I tried a few remedies in the first 2 days of the presented fever, and nothing really worked. In the end I sat down and looked for what could be observed visually. The patient had a sticky greasy perspiration. Mainly on the left side of his body. However, given that numerical values are only an indication of the frequent presence of a symptom in a remedy and not an INTENSITY value, I went back and looked at the patient again and noticed yet another symptom. The perspiration was not clear, it had a brown dirty colour to it on the skin. Discoloured perspiration is not in BRYONIA. I gave CHINA LM 0/1. Within 4 hours the patient was recovering. What do we learn from this case? I believe that accuracy in symptom gathering is the requirement of the day. Once gathered, it must be assessed SOLELY on the basis of the symptoms and repertorised ACCURATELY and without prejudice to what we THINK the remedy is. Where a physical SX exists it cannot be ignored if it is a result of the infection. We must then READ THE PROVINGS TO BE SURE. March 2017. Mentor training course. So you have spent a lot of money, invested a couple of years of your life in training, observed several different methods of approach to casetaking and prescribing, now hold your piece of paper and are on your own in the world of homoeopathy. Feel alone? A sense of being lost? Not confident in your approach and results? 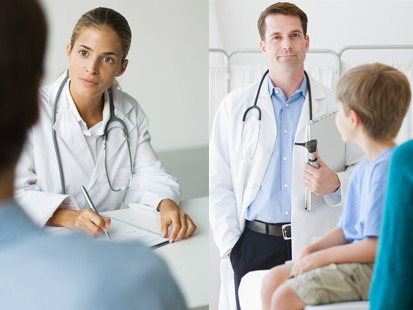 The Institute for Homoeopathic Medicine, established in 1986 is very familiar with your situation. The IHM conducts an average of 7 international seminars a year and many thousands of training hours teaching individuals the Hahnemannian methodology of casetaking and case evaluation through the Therapeutic Pocket Book approach by Boenninghausen. Due to the multitude of prescribing methods taught, we see the confusion in a graduate many times. Hahnemann developed a very precise and penetrating case analysis mode for ascertaining the precise sx of the disease state. Modern ‘homoeopathic’ approaches do not utilise ANY of the founders instructions and therefore success in clinical terms is not high on the list. 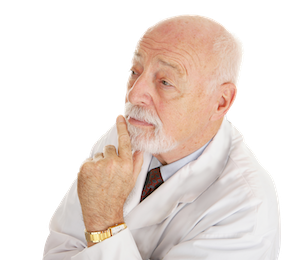 I often hear, “but the patient feels better”… yes, but they still have the problem they came to you with…. Boenninghausen was Hahnemanns most competent student. 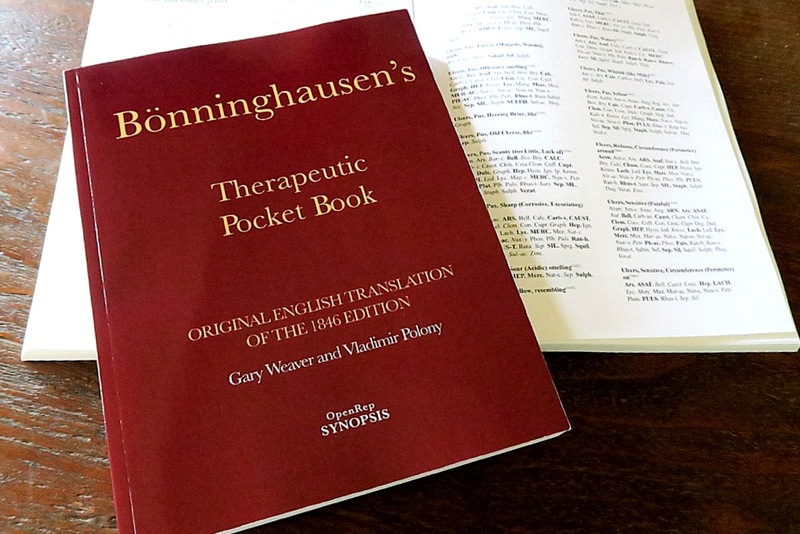 To the professions benefit, Boenninghausen managed to encapsulate the manner in which Hahnemann examined a case via symptoms, and was able to formulate the process in an invaluable repertorial process known as the Therapeutic Pocket Book. Vladimir Polony and Gary Weaver undertook to do a re translation work (starting in 2007, completed in 2010/11) into English from the original 1846 edition, thus repairing many of the errors found in Allens version. It is now available in English, Spanish, Italian and Hebrew. the IHM is offering a special 3 day personal mentoring and teaching weekend with Gary Weaver. The 3 day course is available to both Medically qualified and non medically qualified practitioners. There will be a section of the course regarding understanding Materia Medica that will be conducted via Internet with Vera Resnick D.Hom med I.H.M. What will be included in this 3 day Training. A deep study of the related Organon sections to casetaking. How to link symptoms for a complete picture of the disease. We will demonstrate each step of the process with video and powerpoint and multiple case examples. Demonstrate Hahnemanns thinking through the analysis process formulated by Boenninghausen in the Therapeutic Pocket Book. This work when used correctly, can quickly point to the generals of a case or indeed the specific single symptoms that point to a remedy for use. How to treat concurrent different diseases. LM or Q potencies. How to dose, Repetition, case management and how to deal with aggravations. How to read Materia Medica to get the right medicine. Fees: The course is offered as stated for €750 per person or less if multiple attendees come in a small group. Homoeopathic to the Disease State. “Whatever the emphasis or valuation put on any special symptom or group of symptoms, it first must be fundamentally agreed that the totality alone is essential to the selection of a remedy homoeopathic to the diseased state of the patient. No detail is too insignificant. Scrupulous and painstaking care in case taking is paramount. No values must be written into the record, nor over emphasis placed on any division of the symptom total; the mind kept open until all the evidence carefully weighed is in. To possess actual value symptoms must be reliable and definite, of the very warp and woof, unaffected by their appearance or use in other cases; in short, symptoms that clearly individualize the case under consideration- a totality that sets the case apart from any other previously observed. Until this totality is on paper before us there can be no ranking or ascribing of values. Hence the need, however tedious, of sound case taking, for it is fundamental and not to be compromised by bias or past clinical experience. In order to match the genius of the disease with the genius of the remedy we then seek to rearrange and rank individual symptoms to better discern the remedial agent. Of the symptoms related or observed many may not particularly distinguish. What are some of these? Pathological symptoms, so-called, indicative of the results of disease were described as ultimates by Kent. These evidences of tissue changes are helpful in diagnosis or prognosis, but because they are effects, not causes, they do not become of primary importance in pointing to a curative remedy. All processes have an origin, and it is their beginnings to which a similar drug pathogenesy may be comparable. Likewise in epilepsy, the remedy is not seem in the actual seizure, but rather in what has preceded perhaps long before. Symptoms common to all cases of a certain disease are little indicative of a similar remedy. There is nothing here to be found individual and compelling our choice. Symptoms common to many drugs likewise do not stand out in the selection of a similar drug picture. Symptoms due to drugging, or improperly chosen remedies, or too early repetition do not present the individual nature of the disease as manifested in the changed state and hinder differentiation. Again the long list given by a hysterical patient is difficult to value. The predominating “my” symptoms in reference to particular parts of the body also belong in the class of lesser values, unless these are striking, or becoming general because they are similarly evidenced throughout the various parts of the patient. Particulars rarely distinguish the individual and to that extent are weak in value. So are common symptoms, such as loss of appetite, headache, exhaustion, discomfort, etc., often indefinite and therefore not to be emphasized unless qualified further to really individualize the case. What symptoms, then, stand forth, compelling and of major rank, pointing more directly toward what is essential for cure? 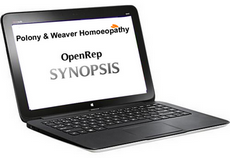 A consideration of homoeopathic philosophy antedates proper symptom valuation. Very briefly, it is not the body of man that expresses disease, but the reaction of his vital force against invasion. Nature’s response is in the way of symptoms experienced through sensation, etc. Individualization means the reaction to any morbific agent as evidenced in the patient under our care. When this is clear to the prescriber, there is no thought of remedies based other than on the patient himself. Not the present symptoms alone, but those detectable from birth, show the conflict which has harassed the inner real life in its bid for mortal existence. The single most misleading aspect of homoeopathic prescribing is the attribution of personalities to the remedies. Prepared remedies are solely prescribed on their abilities to produce symptoms, PERIOD. I tire of the plethora of books, Materia medicas and so called homoeopathic experts who espouse the personality aspects of remedies. We do not treat personal preferences, traits or idiosyncratic natures of people, we treat pathological changes of states that are the results of disease. Anything else is not the practice of homeopathic medicine.